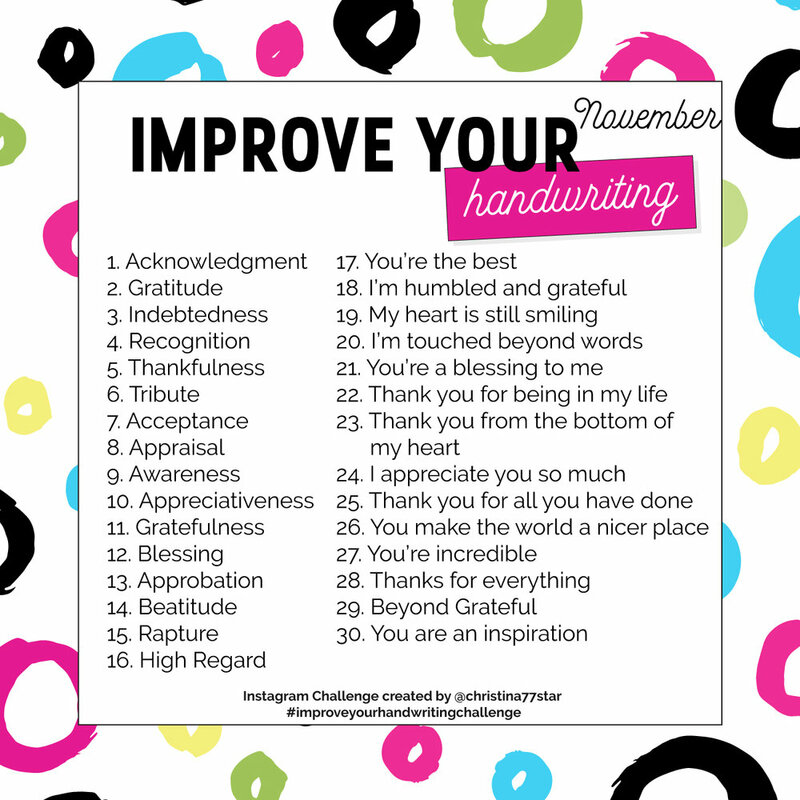 So, for November it's going to be 30 days of handwriting prompts that will hopefully get you to start practicing your handwriting every day. The theme for this month's words is 'Being Thankful'. I thought it was very appropriate for this time of year. The list consists of words of gratitude and also of ways you can say ‘thank you’.